Here’s what’s happening in gardening around Kansas City. 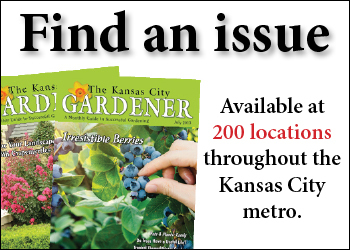 If you’d like to list gardening related meetings, classes and workshops, send details with contact information to elizabeth@kcgmag.com. This is a FREE listing. Tues, Apr 9, 6-8pm; at Loose Park Garden Center, 52nd and Wornall Rd, Kansas City, MO. Membership. Tues, Apr 16, 12:30pm; at United Methodist Church, 425 W Morse, Bonner Springs. We will hold a Flower Show Design Workshop. The presenter is Donna Schneck, NGC Master Flower Show Judge. Everyone is welcome. For more information email bonnerspringsgardenclub@gmail.com. 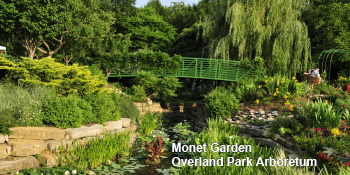 Mon, May 6, social and refreshments 6pm, program 6:30pm; at Loose Park Garden Center, 52nd and Wornall Rd, Kansas City, MO. Special presentation by Judy Penner, Director of the Loose Park Garden Center & Rose Gardens. Judy will demonstrate proper care and trimming of roses, as well as exploring the rich history at Loose Park. Judy is an avid gardener and can be seen working with the crews and volunteers around Loose Park. Guests welcome, no charge to attend. Questions, contact Margaret Singer, 816-942-8889. Wed, Apr 10, noon; at Rose Room, Loose Park Garden Center, 52nd and Wornall Rd, Kansas City, MO. This month members will be learning about Lavender and its many uses from skin care, herbal teas, and as an addition to desserts. This presentation will include its growing requirements, care and harvesting methods. Facebook: check us out at Greater Kansas City Herb Study Group. Friends and visitors are always welcome. Questions: Call Lynn at 816-308-5450. Tues, Apr 16, doors open 5:30pm for snacks and socializing; at Our Lady of Sorrows Church lower level meeting room, 2552 Gillham Rd, Kansas City, MO 64108. Meeting begins 6:30pm. After meeting Cory Sackett at Home Remodeling & Garden Show in Feb, we invited him back to Kansas City to speak with all gardeners at our meeting. As one of the founders of Liqui-Dirt, Cory has done years of research and development with farmers and plant growers primarily in his home state of Utah. After years studying composting and how it breaks down microbes and micro-fungus into beneficial material absorbable by plants, he combined vitamins, and minerals with beneficial bacteria into a concentrated nano product called Liqui-Dirt. Come meet our featured speaker of the evening and learn how we can rejuvenate the soil, even from natural disasters or in leached soil from flood and fire. Visitors are always welcome! Sat, May 11, 9am-1pm; at First Lutheran Church, 6400 State Line Rd, Mission Hills, KS. Annual Spring Plant Sale. There will be a great collection of newer hostas and other shade perennials. The public is welcome. For more information check out our website or Facebook pages, www.heartlandhosta.club; www.facebook.com/HeartlandHostaAndShadePlantSociety/ or call Riley at 913-638-1184. Sun, Apr 14, 1:30-4pm; at Loose Park Garden Center, 51st St and Wornall Rd, Kansas City, MO. THIS IS A WEEK EARLIER THAN USUAL. Visitors are welcome! For information on the Kansas City Cactus and Succulent Society, call 816-444-9321 or visit our website: kccactus.com. Wed, Apr 10, 11am; at Riverfront Community Center, 123 Esplanade St, Leavenworth, KS 66048. Yvonne Willcott, a Leavenworth County Master Gardener, will give a presentation on Raised Bed Gardening. The meeting is free. Visitors are welcome. For more information contact Paula Darling at 913-240-4094. Tues, Apr 23, 10:30am; at Cure of Ars Catholic Church, 9401 Mission Rd, Leawood, KS. At about noon, Steve Hess, an artist and passionate gardener, will present “Your Garden: Creating a Sense of Place.” The meeting and our membership is open to everyone and guests are most welcome. Bring a sack lunch – beverages and desserts are provided. For more information, please visit our website www.leawood.org/committees/lgc or send an email to leawoodgardenclub@gmail.com. Mon, Apr 8, Meeting and hospitality at 7pm, Speaker at 7:30pm; at Colonial Church, 7039 Mission Rd, Prairie Village, KS. We will be offering hands on training digging and separating plants from the Church gardens. The plants will be for sale at annual plant sale Apr 25-Apr 27. Everyone welcome, we have treats. Contact Holly Ramsay 913-302-2014 for more info. Fri, Apr 19, 11am-1pm; Roundtable discussion, visitors welcome. Tues, Apr 2, 4pm; at Lansing Community Library, 730 1st Terrace, Suite 1, Lansing, KS 66043. Pat Matthews and Melony Lutz, two Leavenworth County Master Gardeners, will give a presentation on annuals that Master Gardeners love to have in their gardens and why. The meeting is free and open to the public. For more information contact Paula Darling at 913-240-4094. Thurs, Apr 4, 11:30am-1pm; in Sunflower Room of Wyandotte County Extension Office, 1216 N 79th St, Kansas City, KS. Wyandotte County Extension Master Gardeners invite you to join them for a presentation by Sherry Thomas, Johnson County Extension Master Gardener, that will touch upon the subject of the ornamental value of edibles that should pass homeowner association restrictions. Fee: $5 (waived for currently certified EMGs). For further information, call 913-299-9300. Thurs, Apr 4, 6:30-7:30pm; at Clinton Parkway Nursery, 4900 Clinton Pkwy, Lawrence, KS 66047. Learn how to care for your roses; when and how to prune, fertilize, and general care. This workshop will be held outdoors with a demonstration (weather permitting). Workshop lasts an hour plus time for questions. FREE, but seating is limited, so please RSVP either by clicking on “going” on our Facebook page or call (785) 842-3081. Handouts provided. Fri, Apr 5, 7-9pm; at Overland Park Arboretum and Botanical Gardens, a mile west of US Hwy 69 on 179th St. All Ages. Experience the Arboretum like you never have before–at night! Enjoy the night time sights and sounds and escape outdoors as a family while you learn about Native American Tribes that once lived here in Eastern Kansas. Bring your flashlights and be ready to gaze at the night sky. Included with admission. Sat, Apr 6, 9am; at Raintree Montessori School, 4601 Clinton Pkwy, Lawrence, KS. Native plants beautify our landscapes, lift our spirits, and nourish the life around us. Join the Grassland Heritage Foundation and Raintree Montessori School to learn how you can include more natives in your yard. Roxie McGee, Master Gardener and Co-coordinator of the KU Medicinal Plant Garden, and GHF Education Coordinator Kim Bellemere will talk about why gardening with natives is important and how to get started in your yard. Topics will include natives and wildlife, starting and enlarging native gardens, site assessment, and plant selection, purchasing, and planting. An RSVP is encouraged. Email GHF at grasslandheritage@gmail.com for more information and to RSVP. Sat, Apr 6, 8am; at Anita B Gorman Discovery Center, 4750 Troost, Kansas City, MO 64110 for some urban birding. Meet again on Sun, Apr 14, 6:30pm at Trailside Center, 9901 Holmes, Kansas City, MO for hiking the Indian Creek trail. Bring binoculars, birding field guides or apps; dress for the weather. The Missouri Young Birders Club of Kansas City is a newly formed informal group for youth ages 8-17 who enjoy birding. FREE. Questions: Sara at 816-356-6986. Sat, Apr 6, doors open at 8:30am; program 9-11am; at St Teresa’s Academy, Windmoor Ctr, 5600 Main St, Kansas City, MO 64113. Presented by the Sisters of St Joseph of Carondelet. Want to enjoy beautiful butterflies, delicious vegetables, fabulous flowers all in your backyard…and help protect the universe as well? Then join us as Sister Amy Hereford shares how, through caring for creation, we can heal our universe–one plant at a time. $15 per session, breakfast included. Register online at www.csjsl.org or call 816-501-2944. Tues, Apr 9, 6-9pm; at Johnson County Community College, 12345 College Blvd, Overland Park, KS. An animal’s lover’s guide to sustainable agriculture on a small scale. Chickens provide natural bug control, as well as breakfast. Learn the how and why and what in order to avoid the perils of raising chickens on a domestic scale. Instructor: Emily Winchester. Fee: $39. To enroll go to https://ce.jccc.edu or call 913-469-2323. Wed, Apr 10, 7pm; at Basehor Community Library, 1400 158th St, Basehor, KS 66007. Pat Matthews and Melony Lutz, two Leavenworth County Master Gardeners, will give a presentation on annuals that Master Gardeners love to have in their gardens and why. The meeting is free and open to the public. For more information contact Paula Darling at 913-240-4094. Wed, Apr 10 & 17, 6:30-8:30pm; at Johnson County Community College, 12345 College Blvd, Overland Park, KS. This class will be a fun and active way to learn how to be a successful backyard beekeeper. We will provide the basic knowledge needed to keep and manage a healthy beehive, and produce honey and beeswax. This class will cover bee behavior, hive management, diseases, pests, swarming and how to harvest honey right from your own backyard. Instructor: Robert Hughes. Fee: $59. To enroll go to https://ce.jccc.edu or call 913-469-2323. Thurs, Apr 11, 6:30-7:30pm; at Clinton Parkway Nursery, 4900 Clinton Pkwy, Lawrence, KS 66047. Learn how to grow vegetables in containers. What veggies work best. What soil to use and how to care for them to maximize production. Workshop lasts an hour plus time for questions. FREE, but seating is limited, so please RSVP either by clicking on “going” on our Facebook page or call 785-842-3081. Handouts provided. Sat, Apr 13, 9am-3pm; at Loose Park Garden Center, W 51st St and Wornall Rd, Kansas City, MO 64112, west driveway immediately south of 51st St. The Garden Center side street is located just past the Pavilion. We suggest not following GPS directions. NOTE: Rock the Parkway Half Marathon may cause an access problem to Loose Park. The race should be completed between 9:30 and 10am. Let us provide a colorful gift for the coming Mother’s Day celebration. Then brighten up your own home with a variety of plants and colorful blossoms. No admission fee. Presented by Sho-Me African Violet Club. If further information is needed, call Lynn Canning 913-649-7334. Sat, Apr 13, 10-11am; at Burr Oak Woods Conservation Nature Center, 1401 NW Park Rd, Blue Springs, MO 64015. No registration required (all ages). “They’ll be blooming around the…forest…when they bloom!” Join a naturalist to enjoy the floral delights of the Discovery Trail with Dutchman’s breeches, may apples, trilliums and more. If inclement weather occurs, enjoy a power-point presentation with beautiful photos of our native wildflowers. For more information email burr.oak@mdc.mo.gov; www.mdc.mo.gov/burroakwoods; 816-228-3766. Apr 16-18, 9am-1:30pm; at Anita B Gorman Discovery Center, 4750 Troost Ave, Kansas City, MO. Heartland Tree Alliance is offering a daytime course for anyone wanted to learn more about shade and ornamental trees. 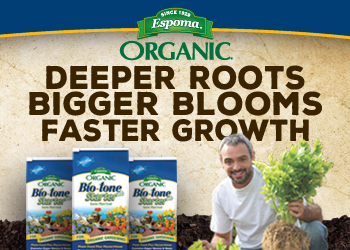 Learn about soils, biology, selection, pruning, ID, and planting. Classroom and hands-on learning taught by MDC Forester Chuck Conner. All tools provided, must register in advance, $50 fee https://tinyurl.com/treekeepers or call Sarah 816-561-1086. What Wild Edibles are Blooming? Tues, Apr 16, 1-3pm; at Burr Oak Woods Conservation Nature Center, 1401 NW Park Rd, Blue Springs, MO 64015. Registration required on-line (adults). By including a few spring flowers in your recipes, you will add essential nutrients and appealing color to your meals. Discover which edible native wildflowers you can include in your salads, pastries and even ice cubes. For more information email burr.oak@mdc.mo.gov; www.mdc.mo.gov/burroakwoods; 816-228-3766. Thurs, Apr 18, 7pm; at Leavenworth Public Library, 417 Spruce St, Leavenworth, KS 66048. Pat Matthews and Melony Lutz, two Leavenworth County Master Gardeners, will give a presentation on annuals that Master Gardeners love to have in their gardens and why. The meeting is free and open to the public. For more information contact Paula Darling at 913-240-4094. Thurs, Apr 18, 6:30-8pm; at Kauffman Conference Center, 4801 Rockhill Rd, Kansas City, MO 64110. Sponsored by Master Gardeners GKC, Benjamin Vogt will present “Gardening with Compassion: Capturing Biodiversity for the Future.” FREE and open to the public. All are welcome. Thurs, Apr 18, 7pm; at Eudora Community Center, 1630 Elm St, Eudora, KS. Native plants beautify our landscapes, lift our spirits, and nourish the life around us. Join the Grassland Heritage Foundation and Raintree Montessori School to learn how you can include more natives in your yard. Roxie McGee, Master Gardener and Co-coordinator of the KU Medicinal Plant Garden, and GHF Education Coordinator Kim Bellemere will talk about why gardening with natives is important and how to get started in your yard. Topics will include natives and wildlife, starting and enlarging native gardens, site assessment, and plant selection, purchasing, and planting. An RSVP is encouraged. Email GHF at grasslandheritage@gmail.com for more information and to RSVP. Thurs, Apr 18, 6:30-7:30pm; at Clinton Parkway Nursery, 4900 Clinton Pkwy, Lawrence, KS 66047. Learn what it takes to create a garden that the Bees & Butterflies will love. Workshop lasts an hour plus time for questions. FREE, but seating is limited, so please RSVP either by clicking on “going” on our Facebook page or call (785) 842-3081. Handouts provided. Wed, Apr 24, 6:30-8:30pm; at Johnson County Community College, 12345 College Blvd, Overland Park, KS. Review the steps to help your bees prepare for the Honey Flow. Review different processes and techniques to add honey supers, equalizing your hives and most important, learning how to keep ahead of the honey that your bees bring to the hive. Instructor: Robert Hughes. Fee: $29. To enroll go to https://ce.jccc.edu or call 913-469-2323. Thurs, Apr 25, 11am-5pm; Fri, Apr 26, 8am-5pm; Sat, Apr 27, 8am-noon; in the Family Center parking lot at 808 Baptiste Dr, Paola, KS. As part of the Marais des Cygnes Extension Master Gardeners’ mission to educate the public and help save our essential insects, the sale will feature butterfly host plants and the best pollinator plants, as well as other annuals, perennials, natives and veggies, all from local growers. Expert EMGs, including Lenora Larson, will be on hand to assist shoppers throughout the sale. Thurs, Apr 25 and Fri, Apr 26, 10am-7pm, Sat, Apr 27, 10am until sold out; at Colonial Church, 7039 Mission Rd, Prairie Village, KS. Annual indoor plant sale. Fri, Apr 26, 9am-6pm and Sat, Apr 27, 9am-5pm; at Cornerstones of Care–Ozanam Campus, Sims Greenhouse, 421 E 137th St, Kansas City, MO. Your purchase supports our horticultural therapy program, which gives youth the opportunity to heal by spending time in a greenhouse nurturing living plants. Through this program, youth experience firsthand the calming effects of nature while gaining valuable work experience and achieving a sense of accomplishment as they watch their plants flourish. 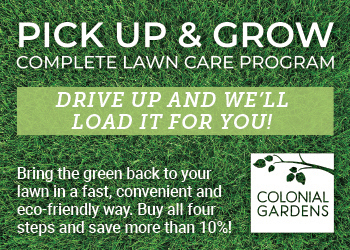 Choose from a wide variety of plants and other garden items! Free to attend and open to the public. Contact Stefanie at Stefanie.lindsay@cornerstonesofcare.org or learn more at cornerstonesofcare.org/plantsale. Sat, Apr 27, 9am-2pm rain or shine; at KC Community Gardens, 6917 Kensington Ave, Kansas City, MO 64132 (Swope Park). Sponsored by the Westport Garden Club. Plants are from Missouri Wildflowers Nursery of Jefferson City. Plants may be pre-ordered by Tues, Apr 23 by calling 573-496-3492 or online mowildflowers.net; be sure to mention it as a Westport Garden Club order and that it is to be delivered to the KC Community Gardens for Sat, Apr 27 pick-up. Sat, Apr 27, 8am-2pm; at 211 W Truman Rd, Independence, Mo 64050. Celebrate Arbor Day, Earth Day and Spring at the Garden Faire with on-going demonstrations and raffles. Plants, gardenalia, plantiques, garden art, and much more for sale by local vendors. For more information call 816-797-8711 or 816-325-7843. Wed, May 1, 4-7pm; Thurs, May 2 & Fri, May 3, 8am-7pm; Sat, May 4, 8am-1pm; at Shawnee Presbyterian Church, 6837 Nieman Rd, Shawnee, KS. The sale will be held rain or shine under a tent. New varieties of perennials and annuals along with hostas, herbs, tomatoes, and peppers will be available. There will be a large variety of sun and shade hanging baskets & patio planters, as well as flowering pots. There will also be a large selection of individual and pots of succulents. Volunteers available to custom design pots. Bring yours or buy at the sale. Proceeds benefit Cross-Lines Community Outreach Inc. Questions, call Kelly Carpenter at 913-281-3388. May 3-4. Presented by the Greater Kansas City Dahlia Society. Contact Randy Burfeind for details at 913-451-3488. Fri, May 3, 9am-7pm, Sat, May 4, 9am-3pm and Sun, May 5, 11am-3pm. The 21st annual Overland Park Arboretum plant sale opens with this preview opportunity for Friends of the Arboretum members. Special emphasis on native, butterfly and pollinator plants with knowledgeable gardeners on hand to assist shoppers. Support the Arboretum as you choose the perfect plants for your 2019 garden. Sale is open to the public, rain or shine. The Arboretum is located a half mile west of Hwy 69 at 179th and Antioch. 913-685-3604. Fri and Sat, May 3 and 4. TENT at Independence Center, East 39th St S, Independence, MO. The Master Gardeners of Greater Kansas City began the Annual Plant Sale in 2010 and it has “grown” every year. If you have attended one of the sales in the past, you know that we have built a solid reputation for offering great plants at reasonable prices. If you have not attended in the past, you will want to make it a point to come this year. Come early for best selection, quantities limited. Fri, May 3, 9am-5pm and Sat, May 4, 9am-2pm; at Wildcat Room, 1200 N 79th St, Kansas City KS. Annual and perennial flowers and ornamental plants, and vegetable and herb plants will be available for purchase. Proceeds fund WCEMGA educational programs offered through demonstration gardens, youth education programs, and adult outreach programs. For info, 913-299-9300. Sat, May 4, 7am-noon; at the Jaycee Fairgrounds, 1445 Fairgrounds Rd, Jefferson City, MO. The indoor plant sale features tomatoes, vegetables, peppers, herbs, annuals, perennials, natives, hanging baskets, container plantings, shrubs, and trees. Proceeds from sale fund scholarships, community garden projects, and River City Gardens. Sat, May 4, 9am-12pm; at Johnson County Community College, 12345 College Blvd, Overland Park, KS. Do you love shopping the local farmers’ market, but get overwhelmed deciding who to support, who are the real farmers, how and what to buy? Learn how to shop the market wisely and what to know about the vendor guidelines. Farmers’ markets are just a part of the active local food and farmer movement. Also look at the city’s historical farming roots and discover the myriad of resources that connect us to our local food growers. Discover farm to table, organic, urban and local trends. Learn about KC organizations collaborating to feed our city on many levels and key programs that are training our next gen farmers. Instructor: Sherri Thomas. Fee: $39. To enroll go to https://ce.jccc.edu or call 913-469-2323. Mon, May 6, social and refreshments 6pm, program 6:30pm; at Loose Park Garden Center, 52nd and Wornall Rd, Kansas City, MO. Special presentation by Judy Penner, Director of the Loose Park Garden Center & Rose Gardens. Judy will demonstrate proper care and trimming of roses, as well as exploring the rich history at Loose Park. Judy is an avid gardener and can be seen working with the crews and volunteers around Loose Park. Guests are welcome, no charge to attend. Questions, contact Margaret Singer, 816-942-8889. Sat, May 11, 9am-1pm; at First Lutheran Church, 6400 State Line Rd, Mission Hills, KS. Presented by Heartland Hosta & Shade Plant Society. There will be a great collection of newer hostas and other shade perennials. The public is welcome. 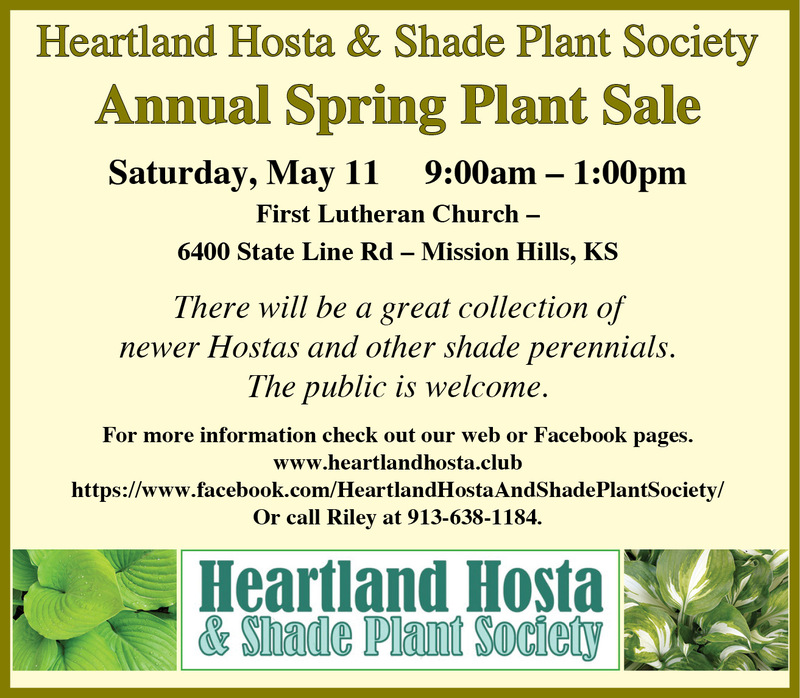 For more information check out our website or Facebook pages, www.heartlandhosta.club; www.facebook.com/HeartlandHostaAndShadePlantSociety/ or call Riley at 913-638-1184. Thurs, May 9, 11:30am-1pm; at Sunflower Room Wyandotte Co Extension Office, 1216 N 79th St, Kansas City, KS. Will be an interactive class focusing on basic landscape principles and suggestions for improving your home landscape. Bring photos of your design dilemmas and we will offer guidance on what to do to improve your landscape. Class moderated by Lynn Loughary, K-State Research & Extension Horticulture Agent, sponsored by Wyandotte County Extension Master Gardeners. Fee: $5 (waived for currently certified EMGs). For info, 913-299-9300. Fri, May 10, 10am-noon; at Overland Park Arboretum and Botanical Gardens, a mile west of US Hwy 69 on 179th St. Celebrate by touring and learning about the many amazing gardens at the Overland Park Arboretum and Botanical Gardens. Our knowledgeable volunteers will give free tours. Open to everyone. While no reservations are required, space is limited. Tours are approximately one hour in length. Bring a friend and meet at the kiosk to start get started. May 11-12. For more information about the farm tour or to receive a map of the sites please call 913-294-4045. The tour’s website, www.MICOFarmTour.com, features a map of the sites and a copy of the tour’s brochure. Sat, May 18, 5:30pm Pot-luck Dinner & 6:45pm Presentation; at Prairie Village Community Center, 7700 Mission Rd. Free to the public. Are you interested in butterfly gardening? Join us for a presentation on “New Hosts for Old Friends”, a discussion about some uncommon host plants for familiar butterflies. For instance, three tropical species of milkweeds, the host plant for Monarchs, will be presented by Lenora Larson, columnist for Kansas City Gardener. Lenora has a 2 acre certified butterfly garden in rural Miami County and is a frequent presenter to gardening and nature groups. She belongs to the Idalia Society, Kansas Native Plant Society and North American Butterfly Association. Sat, May 18, 9am-12pm; at Johnson County Community College, 12345 College Blvd, Overland Park, KS. May is the perfect time to plant more herbs! Become more familiar with growing herbs and their many culinary and medical uses with this hands-on class. Learn which are perennials or annuals and how best to grow each in your garden. In addition, learn about medicinal uses, useful recipes for the kitchen and the many ways to preserve the herbs you grow. Instructor: Sherri Thomas. Fee: $39. To enroll go to https://ce.jccc.edu or call 913-469-2323. Wed, May 29, 6:30-8:30pm; at Johnson County Community College, 12345 College Blvd, Overland Park, KS. Learn how to assemble and review all the woodware, clothing and hardware needed for your beekeeping hobby. This includes everything needed for your bees, the beekeeper and your honey harvest. Instructor: Robert Hughes. Fee: $29. To enroll go to https://ce.jccc.edu or call 913-469-2323. Sat, Jun 1; at Loose Park Garden Center, 52nd and Wornall Rd, Kansas City, MO. All rose growers are invited to bring roses between 8:30am and 12:30pm. No entry fee. Classes for all varieties of roses from miniatures to shrubs. Photography classes for rose photos. All you need to know is the name of rose you wish to exhibit. Helpers are available for new rose exhibitors. Sat, Jun 1, 9:30am-5pm and Sun, Jun 2, 11am-5pm. Douglas Co Master Gardeners are hosting a garden tour. There are seven gardens on the tour. Tickets are $10 and can be purchased at the Douglas County Extension Office on the Douglas County Fairgrounds, 2110 Harper St, Lawrence, KS. Sat, Jun 1, 9am-2:30pm, or until all plants are sold. The sale will be held in the Deal Six room at the Douglas County Extension Office on the Douglas County Fairgrounds, 2110 Harper St, Lawrence, KS. Approximately 40 different species of natives will be available, with plants selling for $4 each or 3 for $10. All plants for sale are native plants. Hosted by Douglas County Master Gardeners. Wed, Jun 5, 6-7pm; at Clinton Parkway Nursery, 4900 Clinton Pkwy, Lawrence, KS 66047. Not sure of the best watering method for you? We will talk about the pros and cons of the big “3”; drip irrigation, soaker hoses and sprinklers. FREE, but seating is limited, so please RSVP either by clicking on “going” on our Facebook page or call 785-842-3081. Handouts provided. This workshop in held in conjunction with the Farmers Market at Clinton Parkway Nursery which runs each Wed from 4:30 to 6:30 from Mid May to the end of September. Sat, Jun 8, 9am-5pm (Rain or Shine). The tour features 6 wonderful gardens, all from the Shawnee area. Presented by Garden Club of Shawnee. Proceeds from the tour are used for the club’s grant program, which provides funds to schools, churches, museums and other non-profit organizations projects to support their gardening projects which help fulfill the club’s objectives. Tickets are for sale for $15. Tickets will be available at several locations throughout Shawnee, from club members and on our website, www.gardenclubofshawnee.org or visit us on Facebook at “The Garden Club of Shawnee”. Jun 7 & 8. Save the date. Details to come. Fri, Jun 7 & 14, 8am-noon; at Johnson County Community College, 12345 College Blvd, Overland Park, KS. You will be introduced to the fun and exciting world of beekeeping. In today’s world, there are many beekeeping opportunities and challenges. Gain a good understanding about beekeeping and learn about the many products that come from bees, like honey, pollen and wax. You will also visit the JCCC Bee Yard and explore a working hive. Identify the honey, baby bees, pollen and find the Queen! This course is for students between the grades 8-12. Instructor: Robert Hughes. Fee: $99. To enroll go to https://ce.jccc.edu or call 913-469-2323. Sat, Jun 22, 7-11pm; at Overland Park Arboretum & Botanical Gardens. The Arts & Recreation Foundation of Overland Park invites you to the premier event of the summer! $250 Patron Ticket, $150 General Admission Ticket (Early Bird Special – Purchase GA tickets by April 30 and save $25!). Tickets are all-inclusive–food, beverages, entertainment and fun! Visit stemssoiree.org or call 913.322.6467 for all ticket and event information.